Get a live bird’s-eye view of a colorful sunset, or snap aerial shots of the lawn to make sure you spelled your name right when you mowed it in. The Groupon exclusive- Galaxie Video Streamer is highly maneuverable and lightweight. As it hovers and flies, this drone’s tiny built-in camera at the bottom of the chassis captures clear photos and video, which it can then send directly to your remote-mounted phone and stream via the Ody Drone app and through apps on the iTunes Store and Google Play. The three different speed modules and smart tech mode make the drone suitable for beginner, intermediate, and expert flyers. The X-Guard rails provide double the protection—protecting the props and motors. A quartet of blades lets the Galaxie hover in place or swerve around trees and other obstacles, and its X-Guard rails help keep the propellers safe from damage. 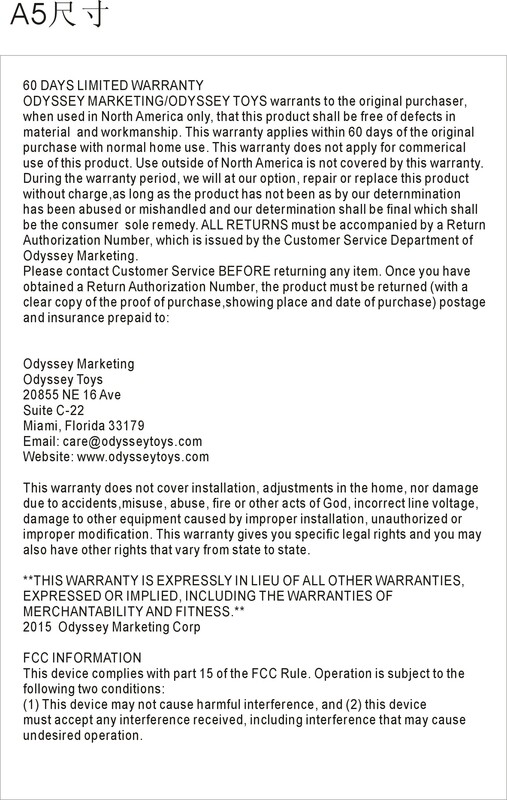 60 Days warranty from vendor. I bought this as a "Santa" gift for my husband, it was the hardest secret to keep. He's only flown it a bit because of the cold weather but has enjoyed it. The directions are spotty, but with help from the web site I'm sure we'll get it eventually. Takes a long time to charge for a short amount of time of "flying." It does not go too far or too high, but it's fun! Fantastic quad-copter. It flies for quite a long time and charges relatively quickly. the quality of the camera was unexpectedly good and I'm having a blast with it. Good luck with this product. I should have know it was junk with the price tag and made in china. I got suckered. Opened up read directions twenty times and tried to get the machine to sync with controller. Never did. So back in the box and I want my little money it cost me back along with lunch for the running around to get it shipped back. This came in after about 2 weeks from purchased date. This does not advertise about the wifi needed for streaming the video. It looks very much like a toy. Saw a better looking drone for almost the same price in another store. Returning it. i was excited to have a drone and expecting to be able to fly it around and record stuff my disappointment didn't take very long to be realized 9 minutes actually the thing flies for 9 minutes and then it goes dead and you have to recharge it for 30 or more minutes before you can fly it again had i known this, i would not have bought it what's the point?